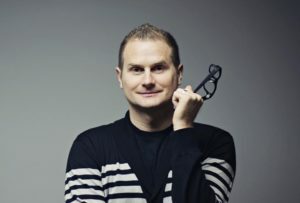 Grandville, Michigan — Rob Bell, author of the best-selling and controversial book Love Wins, returned Sunday to the church he founded over a decade ago, marking the first visit since he left two years ago. The congregation of Mars Hill Bible Church welcomed Bell, who spoke at both the 9 a.m. and 11 a.m. services. As the church had been in a teaching series on “The Ten Deadly Sins,” Bell was assigned the topic of sloth by Pastor Kent Dobson. Bell had left Mars Hill in 2011 shortly after releasing his book Love Wins, which was criticized by many for its universalistic teachings that claimed the majority of Christian doctrine on Hell is “misguided and toxic.” However, he asserts that his departure had nothing to do with controversy over the book. “Some idea that we were forced out is absolutely untrue,” he told the Grand Rapids Press. The “something else” is a new talk show called “The Rob Bell Show,” headquarted in Los Angeles, California. The rights to the broadcast, which Bell has been developing with Carlton Cuse of ‘Lost,’ have reportedly been bought by ABC. In addition to speaking at the church, Bell also spent time at Schuler Books and Music, signing copies of his new book What We Talk About When We Talk About God. However, not all are enthusiastic about Bell’s writings or that fact that such books are so prevalent and popular in Christendom.